It’s been an interesting week in the land of cryptocurrency markets as most digital assets are seeing some gains this week. 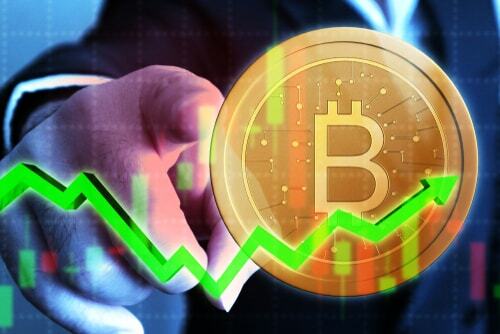 Over the past six months of 2018 digital currency markets have been bearish but this week’s spike has rekindled optimism. At press time Bitcoin (BTC) is hovering around $6,740 per coin with a market valuation of about $117 billion USD. BTC is the top traded currency this weekend with about $3.6 billion in 24-hour trade volume. The Japanese yen is the most dominating pair against BTC, alongside Tether (USDT), and the U.S. dollar. The Fundstrat executive and big BTC proponent Tom Lee still believes that BTC can reach $20-25,000. “[Mining costs] imply fair value over $20,000, roughly $22,000. We still think bitcoin can reach $25,000 by the end of the year or something like that,” explains Tom Lee this week. This week in Ethereum (ETH) news one of Europe’s largest ETF providers and high-frequency trading (HFT) platforms the Amsterdam-based Flow Traders NV has announced it has been investing in ETH-backed exchange-traded notes (ETNs) and BTC notes as well. The Co-Chief Executive Officer of Flow Traders, Dennis Dijkstra, explains cryptocurrencies are not going anywhere and institutional demand exists. “People underestimate crypto. It’s big, and it is about to be regulated very soon. The market participants are much more professional than people think. Institutional investors are interested- we know they are because we get requests,” Dijkstra details this week. The company has been using the ETH ETNs that are issued from Sweden. At the TechCrunch Hangzhou Blockchain Side Stage, the Director of Joint Venture Partnerships at Ripple (XRP), Emi Yoshikawa, explained how Ripple is helping banks provide better utility with blockchain solutions. During the panel, Yoshikawa was asked if she thinks financial incumbents will be “disrupted” by distributed ledger technology. “People tend to think that blockchain is a threat to existing financial services, but it’s not always the case — We are providing solutions to help banks become better, so they can provide better services to their customers,” said Yoshikawa. The Ripple Director also stated that she believes Asia will play a big role towards adopting these innovative technologies. “Asia is the world’s center for remittance payments, there is a lot of money going into Asia and flowing out of Asia as well,” Yoshikawa noted. This week in the Bitcoin Cash space a group of developers announced a BCH stress test on the network on September 1st at 12 pm UTC. The programmers want everyone to participate as the group plans to throw millions of transactions at the BCH network on that day. Developers have even created a stress test tool which creates a large number of microtransactions so miners can process significantly larger blocks. The creator of Bitbox.earth, Gabriel Cardona, helped the team of developers prepare for the stress test day by assisting with the stress test tool. “Big increase in bitcoin cash transaction count since yesterday. Here’s the script from Spendbch.io if you’d like to play along — Let’s stress test BCH to prove to the world we can scale,” the Bitbox founder Cardona explains. During a recent interview with the Ethereum Classic CTO, Igor Artanomov, and the ETC-DEV founder the two discussed distinctions between both networks. The developers say while ETH has been a big player within the initial coin offering (ICO) ecosystem Ethereum Classic (ETC) is focusing in on the Internet of Things (IoT). Furthermore, the ETC developers discussed the blockchain’s strong immutability and emphasized: “code is law.” The ETC programmers say that the network will always be governed by code rather than a foundation. The ETC developers also emphasize that the Ethereum Classic chain has a supply limit of 210 million ETC and is decentralized by Proof-of-Work. The ETH supply will always unlimited and inflated through a different algorithm and will be using Proof-of-Stake as well. This week has been very positive and most cryptocurrency proponents are optimistic we may see a bullish turn-around in the near future. There’s been a lot of market action and new announcements happening regularly. Right now the entire digital asset ecosystem is worth over $279 billion USD and people are very interested in what the future holds for the second half of 2018. Coinmama will surely be watching to let our readers know how it all unfolds.